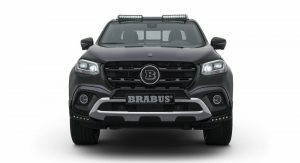 Brabus tunes Mercedes-Benzes. 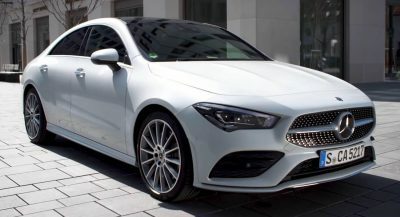 And Mercedes makes cars. 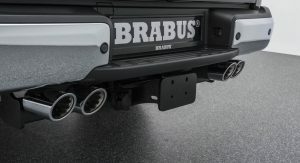 So Brabus tunes those cars. 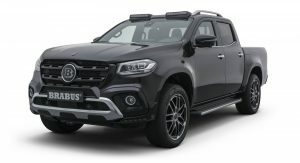 But Mercedes also makes trucks, like the new X-Class. 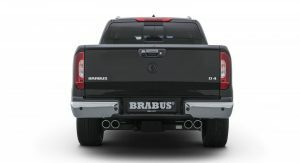 And so Brabus has come out with a range of enhancements for the pickup as well. As always, the upgrades start under the hood – albeit in a way less dramatic than some of the tuner’s more extreme performance enhancements. 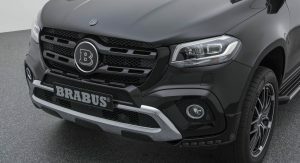 For the 250d model, Brabus is offering a D4 PowerXtra performance upgrade that adds an extra 20 horsepower (15 kW) and 42 lb-ft (60 Nm) of torque. 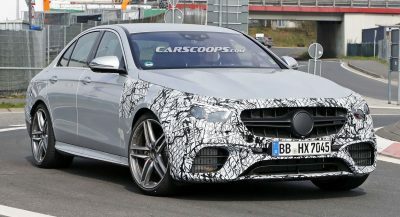 That brings the 2.3-liter turbodiesel four’s output up to 208 hp (155 kW) and 376 lb-ft (510 Nm). 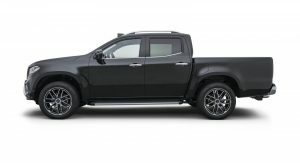 As a result, the modified pickup takes a relatively quicker (but still hardly lightning-fast) 11.5 seconds to reach 62 miles per hour (100 km/h) from a standstill. 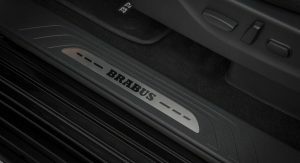 If that’s not quite enough, though, Brabus has upgrades for the more potent, top-of-the-line 350d model in the works, too. 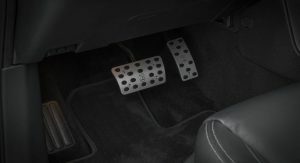 Engine enhancements aside, the German tuner is also offering a range of aesthetic upgrades as well. 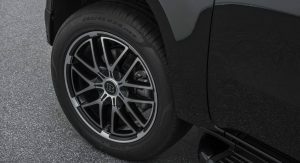 Those include wheels as big as 20 inches in diameter, as well as a body kit and interior enhancements, too. 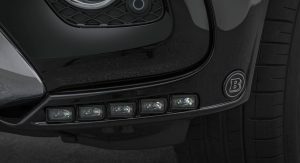 There’s a new front element positioned in front of the grille, which also gets a new honeycomb insert, and inserts for the guard-plate under the front bumper. 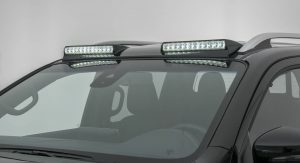 There’s new LED side markers and roof lamps as well, and a quad-tipped exhaust. And customers can opt for a full range of interior upgrades, too, including stainless steel, aluminum, leather and Alcantara trim. 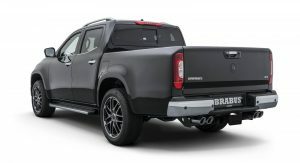 All of which promises to take the pickup in a suitably more upscale direction. Nice truck. 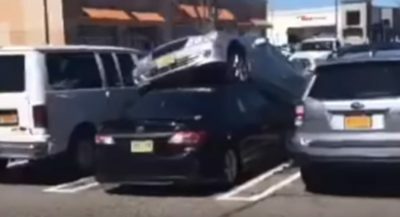 However, still hard to hide those nissan body lines. 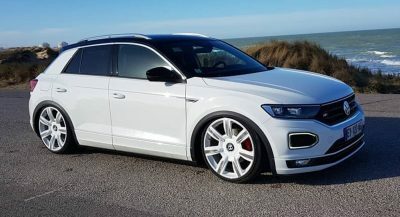 I think it would look better with a more rugged, off road focused, appearance. 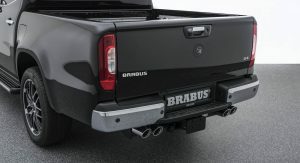 No, is this German answer for Chelsea truck?